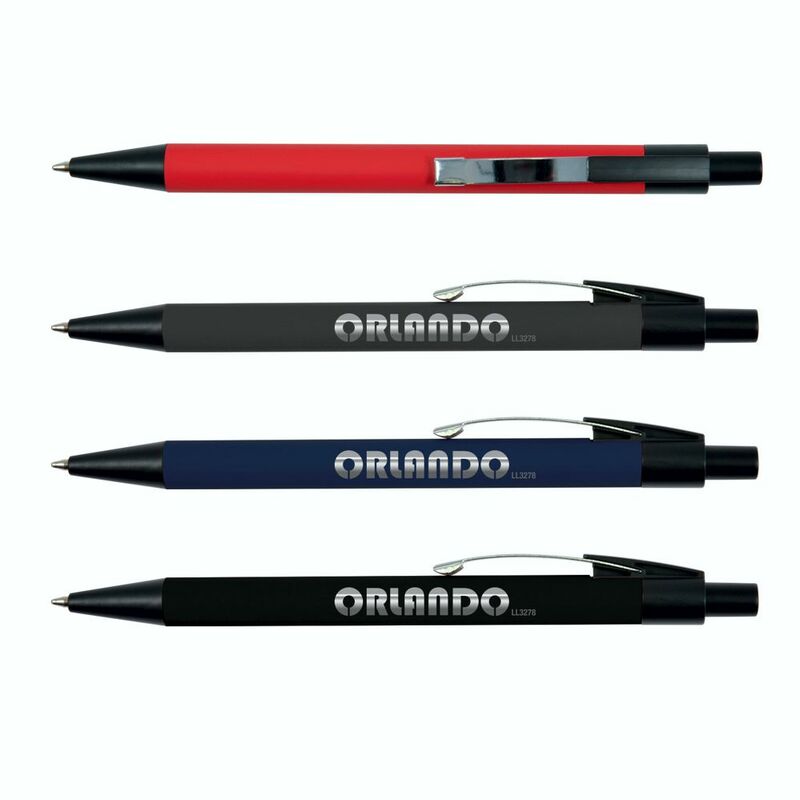 Soft feel- aluminium coloured barrel ballpoint pen with Black accents.This pen can be laser engraved in a silver mirror finish. Optional black suede velvet pouch.Writing distance: 2.1 km. Laser engraved pricing.